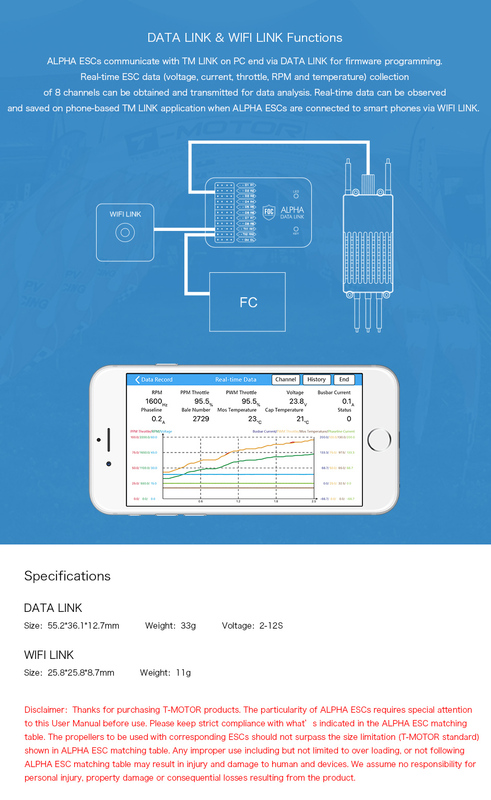 Data Link is a communication facility of ALPHA ESC for data collection, storage, and transmission. Together with the FC, Data Link is capable of real-time monitoring and logging of the propulsion system for purposes such as failure data analysis and operational conditions, further elevating aircraft safety. Data Link can also be used to change settings of ALPHA ESCs to match various motors.